Welcome to the Department of Theatre & Film Studies. We offer both undergraduate and graduate studies in Theatre and Film. We are proud of the work done by our 21 faculty members, four distinguished adjunct faculty members, three full-time staff members, and 36 graduate assistants. 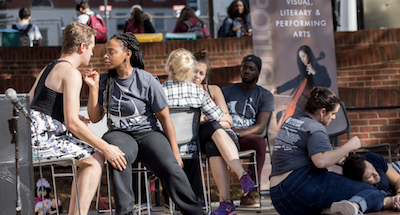 The Department of Theatre & Film Studies is accredited by the National Association of Schools of Theatre (NAST) and is also a member of the University Resident Theatre Association (URTA). Our department promotes the study of dramatic art across all cultures and in all its current media, including stage, film, computer animation, motion capture and interactive narrative.